We’re approaching the coldest season of the Australian year, so you might already be shopping for indoor heating options. There are several factors you should consider before you make your purchase. Size is a big one. Depending on how small or big your home is, you may settle for larger heaters that warm up a wider area or you could get many smaller units. It’s best to do a budget and see whether it costs more to buy many small fireplaces or a big one for each room. If you live on your own, a portable heater might be better, and you can just carry it from room to room. If you have a hearth, you want something that can sit comfortably beneath the chimney, or maybe you’d rather have an in-built firebox. Fuel could be a consideration as well. If you don’t mind stoking your own fire, you can buy a wood heater, but if you prefer a quicker, cleaner way to start your fire, go for gas or electric furnaces. Heating methods may be important to you, so before you buy, ask your salesperson whether your heater uses convection or radiation to warm up your home. Other features that aren’t necessarily deal-breakers include ease of temperature control, remote access, additional safety features, and visual appeal. Make a list of the features that matter most to you, then go online or walk into a furnace store and talk to a sales clerk to find something you like within your budget. Here are a few recommendations. What makes this heater a hybrid? Well, it combines typical wood heating features with a patented technology called catalystic assist. Like other wood heaters, the Lopi Flush Wood Hybrid has stainless steel baffles and air tubes, plus a kiln fired firebrick for enhanced combustion and heat distribution. This heater gives a clean burn because wood is torched in the firebox, resulting gases are re-burned in air tubes, and by-products are like smoke and unburnt fuel are passed through the catalytic assist chamber. After all that heating, emissions are down to 0.9 g and close to zero carbon monoxide is released into your home. 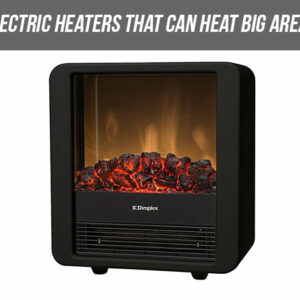 This heater can burn for up to 12 hours and uses far less wood than conventional heaters. It holds 610mm logs and can fit flush inside most hearths. Its door is made of cast iron with a glass viewing panel so you can watch the flames. For an added fee, you can install Greenstart which lets you light your heater instantly. Just load your logs and press the button! The strange appearance of the Sengoku KeroHeat shouldn’t put you off. It’s much tougher than the tiny wire framing would suggest. It’s a portable unit that is convenient to store and carry around, but you have to be okay with the smell of kerosene. You also need to keep your room well ventilated because kerosene can be overpowering and toxic in low circulation. You don’t have to struggle to light it. Just push the ignition button and it’s on. The ignition switch is battery-powered, and the batteries come with the heater when you buy it. It holds 1.9 litres which can burn for 12 hours. Though it seems frail, it has a stable base that can’t be tipped by energetic kids and pets. 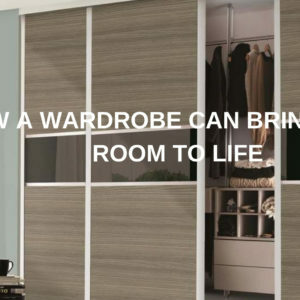 It can warm up a space of up to 1,000 square feet. Its biggest selling point is its safety feature. You don’t have to worry about suffocating because the heater has an automatic shut-off feature. If the oxygen in the room goes below safe levels, the heater will instantly switch itself off with no intervention from you. The shut-off and solid base eliminate the two main health hazards associated with kerosene heaters. If you don’t mind a little noise, the Lasko Ceramic is a good heating option. It’s a portable electric unit, but it can only heat a small area at a time. Its streamlined design means it can unobtrusively lean against a wall or flat surface. Its heat is adjustable to two settings, and it also has an automated thermostat with a 7 hour timer. The thermostat is easy to read, thanks to its large digital screen, and the Lasko Cyclonic will never overheat, because its ceramic body regulates itself within safe temperatures. The heater works by releasing hot air, so you can direct the heat by adjusting the louvre that sits on the top section of the heater. It has a simple switch to adjust airflow.